David Cameron will discuss the case of a British grandmother facing execution by firing squad during talks with the Indonesian government. 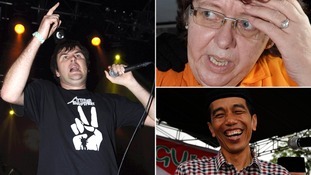 Frontman of metal band writes to Indonesia president to appeal for the life of a British woman sentenced to death on drug charges. The Supreme Court has said Lindsay Sandiford, the grandmother on death row in Bali, "remains in jeopardy" and is in "urgent need of legal help". The 57-year-old from Cheltenham has lost a battle at the UK's highest court over the lawfulness of a Government policy not to provide funding for legal representation to Britons facing capital charges abroad. Five Supreme Court justices in London unanimously dismissed a challenge by Sandiford, who was convicted last year of trafficking drugs into Bali and sentenced to death by firing squad. The Supreme Court called on the Government to carry out an urgent review of whether funding for legal representation can be given in the case. Grandmother Lindsay Sandiford, who is on death row in Indonesia for trafficking drugs to Bali, has lost her latest battle at the UK's highest court to get funding to fight her case. Sandiford, 57, from Cheltenham, Gloucester, was sentenced to death by firing squad after being arrested in May 2012 for smuggling 4.8kg (10.6lb) of cocaine worth £1.6 million from Bangkok. She claimed she was forced to transport the drugs to protect her children, whose safety was at stake. An appeal against her sentence was rejected but she is continuing to fight her case. However, she is currently without legal representation and tried to challenge the lawfulness of a Government policy not to provide funding for Britons facing capital charges abroad. But today five judges in the Supreme Court unanimously dismissed her case ruling the policy was lawful even in death penalty cases. A human rights charity has called for the Government to "step in" and help a British grandmother who lost her appeal against a death sentence for trafficking drugs into Bali. This will be devastating for Lindsay and her family, following months of torment throughout the appeals process. Without a lawyer to seek the new evidence needed for the Courts to re-review her sentence and prepare her clemency petition, Lindsay faces extremely difficult decisions. We hope that the British government will step in to ensure that Lindsay is at least provided with a lawyer to help her avoid execution. British grandmother Lindsay Sandiford remains in a hot, cramped cell in an infamous Indonesian prison after losing a court appeal. The Foreign Office said it would "consider how to support any application for judicial review or clemency" that Lindsay Sandiford makes after she lost her appeal against a death sentence for drug trafficking. A Foreign and Commonwealth Office spokesman said: "We are aware that Lindsay Sandiford's appeal to the Indonesian Supreme Court has been denied. "We will continue to provide consular assistance to Lindsay Sandiford and her family at this difficult time." 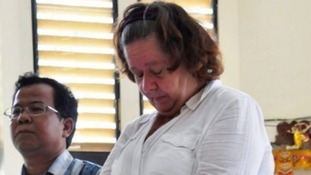 A British grandmother has lost her appeal against a death sentence for drugs trafficking in Bali, a spokesman for the Supreme Court in Jakata confirmed. A three-judge panel at the court unanimously rejected Lindsay Sandiford's appeal, Ridwan Mansur said. The judges agreed with the decision taken by Bali's Denpasar district court, which sentenced Sandiford to death, and the island's high court, which rejected her first appeal. Under Indonesian law, Sandiford still has the opportunity to seek a judicial review of her case before appealing for a presidential pardon. Lindsay Sandiford was sentenced to death after being found guilty of drug trafficking in January. Sandiford's alleged accomplice, Julian Ponder, from Brighton, was jailed for six years in Bali after being cleared of drugs smuggling but convicted of possessing drugs. He remains in jail. His partner, Rachel Dougall, also from Brighton, received a one-year jail term and has now returned to the UK after serving her sentence. Paul Beales, a long-time Bali resident, was sentenced to four years in prison for possession of hashish. He remains in jail. The Foreign Office is seeking confirmation that a British grandmother has lost her appeal against a death sentence for trafficking drugs into the resort island of Bali. We are aware of unconfirmed reports that the decision of the Indonesian Supreme Court has been announced. We are seeking confirmation of the decision from the Indonesian Supreme Court. We will continue to provide consular assistance to Lindsay Sandiford and her family at this difficult time.